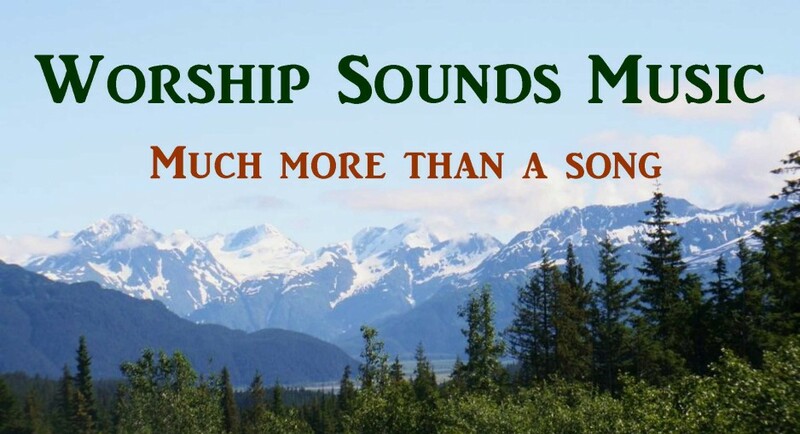 Our Worship Sounds Music website has almost 2 dozen anthem options that are songs of Praise and Thanksgiving! Some the anthems are written in a lyrical, ballad or hymn-like style, like the lovely creation hymn medley “The Father’s Beautiful World” and the majestic anthem, “Greater” (available in SSATB and SSAA, sung and recorded by the Jubalheirs). Other anthems are more up-beat and syncopated, such as the jazzy SATB anthem, “Don’t Let the Rocks Cry Out” and the contemporary praise anthem, “For the Glory of God” (available in SATB, SSAA, and TTBB, with optional Full Orchestration or Accompaniment Track also available, also sung by The Jubalheirs). There are anthems for all of your choirs: Adult Choir “The Theme of Our Praise), Student Choir (“A Joyful Doxology”, in SAB), and Senior Adult Choir (“Thank You for the Journey”). Some of our anthems have well-loved hymn texts set to beautiful new melodies, such as the SATB “O, For a Thousand Tongues to Sing”. We invite you to take a few minutes to listen to the audio of voice parts and piano accompaniment as you view the music for our anthems with our Video Demo playlist below. PLEASE VIEW PLAYLIST IN FULLSCREEN MODE TO SEE LYRICS BEST. Please use “Back” and “Forward” arrows (on the YouTube toolbar at the bottom, between play/pause arrow and speaker icon) to go to the Next Video or Previous Video if desired. * Our anthems are the work of Music and Worship Minister and Composer Travis L. Boyd, who has published anthems with Lorenz Music, Shawnee Press / Hal Leonard, Choristers Guild, Lifeway, and Broadman. * Many of our anthems have Full Orchestrations available, which cost either $25.00 or $30.00 for the bundled PDFs of your music. Included are a Director’s Score, String Reduction for keyboard, and reproducible parts for Strings, Winds, and Percussion. * Many of our anthmes have Accompaniment Tracks available at a cost of $10.00, sent as an Mp3 download. We will be glad to set up alternate payment arrangements or answer any questions that you have. Thank you for your time and for your consideration of our music! 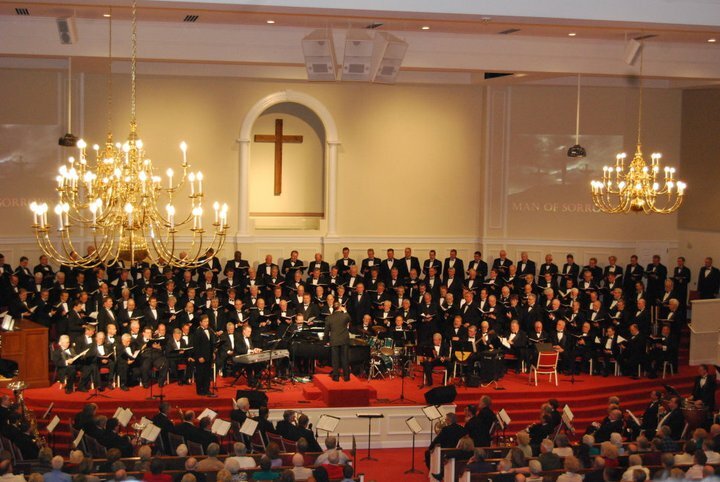 We consider it an honor to serve Ministers of Music and Worship and Church Choral Directors with the hope that we can provide support and resources for your Worship Ministry through this blog and through our music. Our newest Choral Anthem, “Since I Have Been Redeemed” is now available in 3 Choral Arrangement options and 3 Vocal Solo options. WITH THIS ANTHEM, WE ARE OFFERING MORE CHOICES THAN EVER BEFORE! 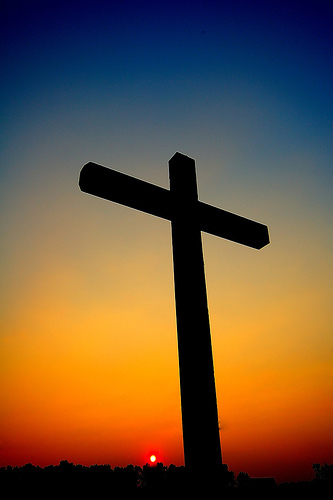 Our Choral Anthem and Vocal Solo arrangements of “Since I Have Been Redeemed” feature this favorite hymn text by Edwin O. Excell, set to a beautiful new melody! The SATB and 2-Part anthem arrangements have an optional solo at the beginning, and “Since I Have Been Redeemed” is available in several different formats. * The SATB version would be perfect for Adult Choirs and more advanced Sr. Adult Choirs. * There is a special 2-part version for smaller or less-experienced choirs. * There is also a Solo w/ SATB Choir version (solo continues throughout). * Finally, we have added a Vocal Solo sheet music version in 3 different keys on our Solo Music Section (The tan-colored sidebar on our Website’s Home Page). 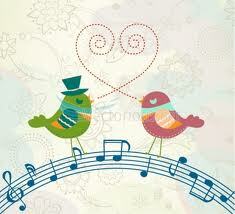 * “Since I Have Been Redeemed” is easy to learn and a joy to sing! It is a testimony of thankfulness for salvation in Christ. An earlier arrangement of “Since I Have Been Redeemed” has been sung and recorded by The Singing Churchmen of Oklahoma, with Dr. Bill Green as Director of the group. Following your Choral Music PDF order, the instructions for downloading your PDF Master Copy will be sent to you via e-mail (as soon as your order is processed by PayPal). * You will be able to download and print your PDF Master and then make an unlimited number of copies for your choir for the low price of $15.00. * There are no ‘per copy’ fees and no shipping costs! * Your Choir or Soloist could begin work on “Since I Have Been Redeemed” (or any of our other Choral Anthems and Vocal Solos) at your next rehearsal. NOTE: We have a wide variety of Choral Anthems available on our website, and many have Full Orchestrations available as well. You’ll find anthems that are appropriate for Adult Choir, Senior Adult Choir, and Student Choirs. All anthems are priced between $8.00 to $15.00 for the PDF Master Copy, with no per copy fee and permission to make an unlimited number of copies (for your choir and accompanists only). SOLO VERSIONS CAN BE PURCHASED ON OUR WEBSITE’S SHOPPING CART PAGE. Each Vocal Solo PDF Master costs $5.00, with permission to make copies for your soloist and accompanists or rhythm section. Chord symbols are included on the piano score. * In low, medium and high voice Vocal Solos! * Plus 3 different Choral arrangements! is a choral anthem with a classical sound and a trumpet obbligato throughout. This majestic, joyful, and celebratory anthem works well as the opening song for a worship service or concert (or for general use). 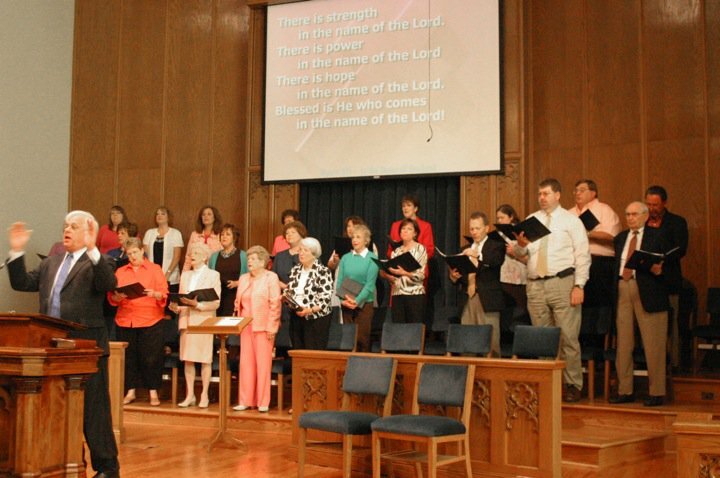 It has been sung in an SSAA arrangement by The Singing Churchwomen of Oklahoma, under the direction of Dr. Bill Green. As always, our PDF Master Copy of the anthem is available in either full page or octavo format. With our easy and quick e-mail delivery of your download instructions and the convenience of PayPal, you could begin working on the “Let the Trumpet Sound” at your next choir rehearsal. * The PDF Master Copy is available for $15.00. * Permission is given with purchase to make as many copies as needed (for your choir and accompanists only). * THERE IS NO ‘per copy’ FEE! * $15.00 IS ALL THAT YOU WILL PAY FOR ALL THE COPIES YOU NEED! If a copy becomes lost or damaged, print another at no extra cost, even if it has been years since your purchase! * No waiting for your anthem to arrive by mail! * You will be sent instructions for downloading your Master Copy shortly after your order has been placed. * You can print your copies as soon as your download is complete. If you have any difficulty, contact us immediately at Travis’ web mail address: Travis@worshipsounds.com (same webmail address that is on our website’s home page). Click photo to go directly to the Video Demo for this anthem, with a link to the Adult Choir website page below in the Video info. The trumpet obbligato is free but must be ordered separately on our WorshipSounds Music website’s Shopping Cart page. You’ll find the obbligato adjacent to the “Let the Trumpet Sound” Anthem PDFs, with the same identifying thumbnail photo. With WorshipSounds Music, you can purchase any NEW CHORAL ANTHEM and have all of the copies you need (for your choir and accompanists) for as little as $8.oo to $15.00 plus your printing costs, depending upon which anthem you choose (U.S. currency, Paypal converts). Our goal at WorshipSounds Music is to make it possible for Choral Directors to purchase anthems for choir and ensembles, anthem orchestrations, and music for soloists that will allow the musicicans in your Church or Christian School to sing and play for God’s glory, sharing a message that will draw hearts to Him. We believe that Choral Music is an important part of Worship Ministry and that messages can be shared through the ministry of a choir that will not have the same impact if shared in any other way. We are a friend to Worship Ministry in general, to Choral Music in particular, and to music budgets! We also offer many choral anthems that are fully orchestrated, with orchestrations costing $25.00 or $30.00. All of our orchestration include all parts for strings, winds, and percussion, a full score, and a string reduction for keyboard. They are written to be practical for church musicians and to sound wonderful no matter what your group’s instrumentation may be. Great care is taken during the arranging process to make certain that the instrumental parts complement the message of the anthem without “covering up” the choir. CHECK OUT our WorshipSounds website today! You will find excellent choral music that is meaningful and memorable, that has a Biblically sound message of praise and hope, and that is a joy to sing! There’s a BRAND NEW Song on our Website! For Adult or Student Church Choirs, Ensembles, and Christian School Choirs! This beautiful choral anthem, written by Travis L. Boyd, has a message of thankfulness for God’s wonderful creation and celebration of God’s majesty as revealed in His creation. It utilizes two well-loved hymns, interwoven in a glorious medley. The hymn text for “All Things Bright and Beautiful” is combined with a gentle and lyrical new melody. In addition, a portion of the beloved hymn, “This is My Father’s World” is featured, with the familiar tune & text. The resulting choral arrangement brings refreshing to some of the best loved hymn lyrics of all time! Your choir and congregation will love “The Father’s Beautiful World”. Combine your choir’s performance with a media slideshow of wonderful nature photos for even greater impact! Sensible voice-leading allows choral parts to be learned easily. Our fast and affordable “you print” method for music delivery means no waiting for your new music, and it’s the best value for your music budget! Both the SATB Version and the SSAA Version would also work well for ensembles. “The Father’s Beautiful World” Choral PDF Master is available on our website’s Adult Choir page in both SATB and SSAA voicing for only $15.00, with NO “per copy” fee! There is also a Vocal Solo Version of this song, available in Low, Medium, and High Voice versions on our website’s Home Page in the red sidebar at left, at a cost of only $5.00 for the PDF Solo Master, with permission to make copies for your solo, accompanists, and rhythm section players. Or, click the image at right to go straight to the video demo.